The Civic Archaeological Museum of Marciana was founded in 1968. It saves a collection of objects dating back from the Prehistoric Age to the Roman Age. 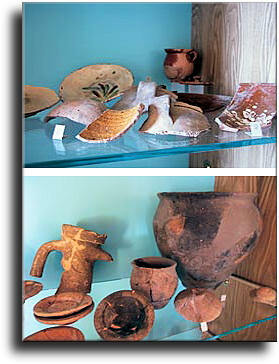 The museum consists of different sections referring to different historical periods, in which it is possible to admire a collection of objects coming from the close locality of Rio Marina, like vases, copper-made tools, and coming from the Capanne mount like some funerary equipment, working tools and other objects dating back to the last phase of the Bronze Age and to the Etruscan and Roman Ages. Very interesting is also the collection of amphoras came to ligh from the derelict of a Roman ship foundered in the second half of the II-th century close to the sea locality of Procchio.